A brush in TwistedBrush Pro Studio is a combination of core brush style or variant, size, density, opacity, color and brush effects. Brush effects are extremely powerful and play the biggest role in determining how a brush will look. 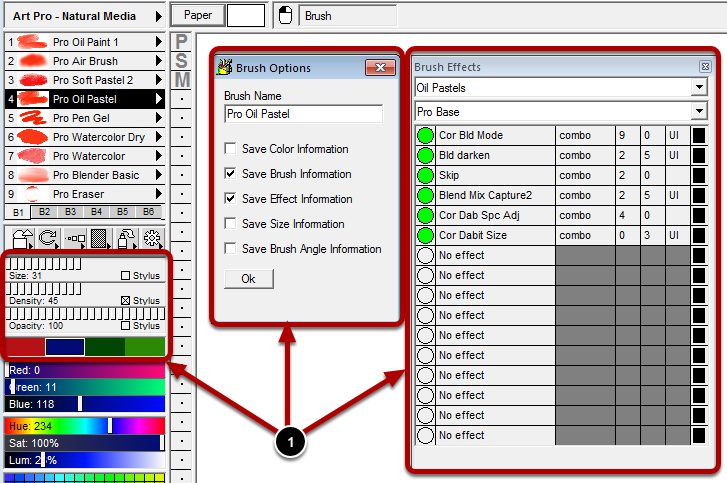 Everything that defines a brush is exposed in these panels and dialog in TwistedBrush Pro Studio, More details can be found in the Brush Adjustment Panel, Brush Options Dialog and Brush Effects Panel topics. Additionally from the Brush Effects panel the UI Brush Control Settings can be set.